Arthur Curie never expected to wind up in Hell. At least, not because he found an ancient sword in a pawnshop. To make matters worse, Hell isn’t as he thought. It’s a desolate wasteland under siege by an all-consuming void known as the Darkness. Now, he’s trapped with no way home, a ragtag army of women, and a sword whose only power is to modify the abilities of those around him. Not exactly winning odds. Worse, if the Darkness isn’t stopped, not only will it devour Hell, but Earth will be next on the menu. For the first time in millenia, the all-consuming Darkness has been pushed back. Thanks to Arthur and his ragtag army of women, there’s finally a light at the end of the tunnel. Or there would have been if Mammon, Princess of Greed hadn’t awakened. Powerful enough to level a town with the blink of an eye and ally to no one, Mammon has one goal and one goal only. To own everything in Hell, starting with Arthur and his friends. And if he can’t stop her from taking over while fending off attacks from Hell’s ruling class, well, let’s just say that his chance to stop the Darkness will slip from slim to none. When Arthur defeated Mammon, he never expected Lucifer to awaken, and what’s more, she’s made Arthur an offer he can’t refuse. Join her in the fight against the Darkness or face the consequences. On one hand, it’s a good deal. On the other, well, it’s Lucifer. Worse, she’s not the only one who woke up. Wrath has broken free. Envy is insane. And Lust? Well, Lust is just looking for a big strong man to… well, you know. To Death. Still, if there’s one thing Arthur’s gotten good at, it’s dealing with cranky Archangels. There’s just one problem. Heaven’s about to fall, and when it does, the Darkness’s champion will march on Hell. Guess Arthur better fix his sword. Fast. 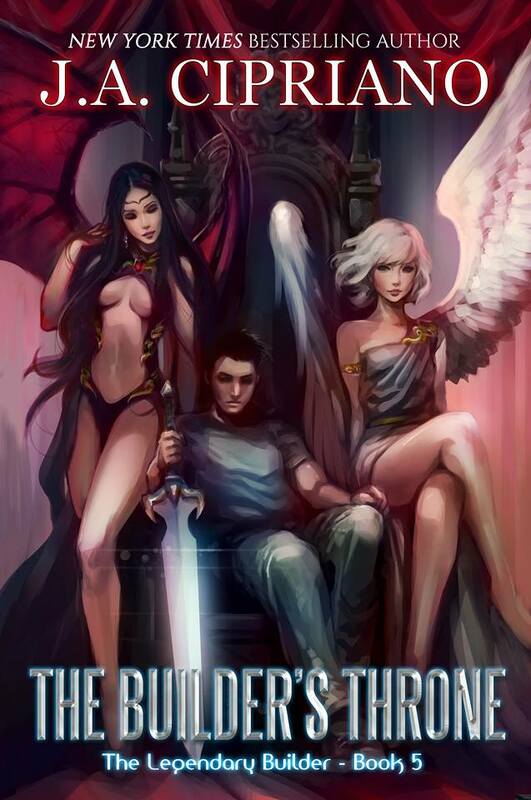 After Dred laid waste to Heaven, defeated Lucifer, and kidnapped Gabriella, Arthur will do anything to stop him, even if it means teaming up with Hell’s greatest enemy. 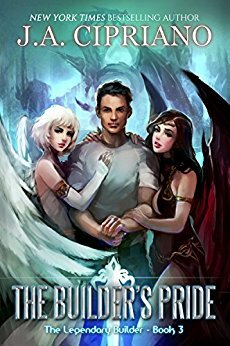 Armed with a sword more powerful than ever, Arthur has one chance to rebuild Heaven, forge an alliance between the angels and demons, and find the Holy Grail. If he succeeds, he may just have the power he needs to defeat Dred and rescue Gabriella, but if he fails, well, at least the convenience store is still hiring. Enter the Darkness. Kill Everyone. Save the World. When Arthur Curie learns of a chink in the Darkness’s armor, he knows it’s his chance to turn the tide in a millennia old conflict. To take that chance, he’ll have to risk his entire army, side with a former enemy, and defeat forces of Darkness far greater than he’s ever faced before. But you know what they say, no guts, no glory, right? The Final Battle is Here. When Arthur found a magic sword in a pawnshop, he never thought it would make him into the Builder of Legend and thrust him into the forefront of the fight with the Darkness. Now, to finally put an end to the destruction of everything, Arthur and his girls will have to hold the lines against the Darkness’s final assault while defeating the Four Horsemen, freeing God from captivity, and of course, confronting the Empress. Sure, the odds might be stacked against him, but if there’s anyone who can do it, it’s the penniless orphan turned King of Heaven and Hell.